This is the first book I have read by Juliette Duncan, and I want start off by saying I truly enjoyed it! By the time I was finished I found myself with a refreshing outlook on what it takes to truly have unconditional faith in all ways. I need to admit it took me a little while to get into the groove of how it was written, but once I did I found it the story to be very touching and heart warming! There were just a couple of reasons why, and this is just my personal preference, really, first of all I have always had a difficult time when reading fiction in the “first person scenario”, however, Ms. Duncan does an excellent job of this with both of the main characters, switching back and forth between Kayla and Dane with each chapter. Secondly, Kayla starts off as not the “nicest” person, shall we say? But, hey, this is a romance story, so she’s bound to become more likable, right? Truth be told, she really does become quite appealing when you see her deep love for her dad! Kayla’s lifestyle and lack of belief in God is portrayed very clearly from the first page, but we all know we are reading a Christian story, so we can predict she will find her way to the Lord! The way she gets there is one of the best things I liked about this book! What I loved from the start of this book is Dane! He is an amazing character full of love for God and a huge heart for teens. Dane is an inspiration for all of us! I always have a soft spot for veterans, and Dane is a wounded Marine who has struggled with his injury but turned it into a testimony anyone would be blessed by. This is a very fitting start to The Potters House series, with Dane being a potter! I love the analogies between throwing a lot and how God molds us, always a work in progress! 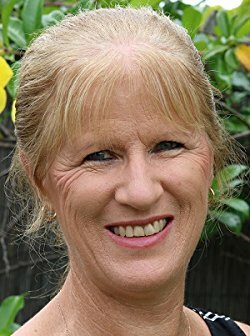 Juliette Duncan is passionate about writing real-life Christian inspirational romances that will touch her readers’ hearts and make a difference in their lives. Drawing on her own often challenging real-life experiences, Juliette writes deeply emotional stories that highlight God’s amazing love and faithfulness, for which she’s eternally grateful. Juliette lives in Brisbane, Australia. She and her husband have five adult children and seven grandchildren whom they love dearly, as well as an elderly long-haired dachshund and a little black cat. When not writing, Juliette and her husband love exploring the great outdoors. Juliette Duncan has graciously offered to have a free ~*Giveaway*~ to one of our blog members!! Simply comment on this post to be entered to receive the ebook from her directly! Thank you, Juliette!! The contest will end one week from today! 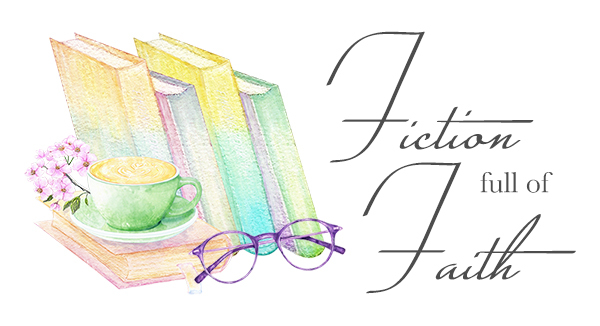 Next Secrets of Sunbeams by Valerie Comer with a ~*Giveaway*~!! Any story that features a Veterans especially a Marine Corps Vet (since Im one myself) is a good book in my opinion 😄. Seriously though it does sound like a great read. Thanks for the chance to win it. Thank you for entering, Rose! It is truly a wonderful book!! I love her stories they are always so inspiring ! Thank you, Teresa! As I mentioned, this was my first of Ms. Duncan’s books, but I will definitely be reading more!! This book by Juliette Duncan sounds very nice. Am liking the fact it has a veteran and a character needing redeemed. Certainly sounds like something I’d enjoy. I have read something by her before and it was very good. Thank you, Linda! I am looking forward to reading more of Juliette’s stories! I want to thank Juliette again for the marvelous Giveaway!! The winner is…..Linda Palmer!! Congratulations, Linda, you will receive your ebook from Juliette via email!